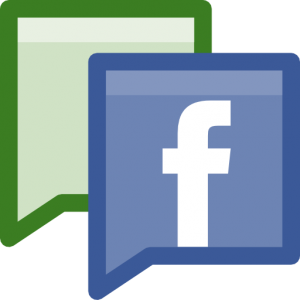 Are you looking to buy a facebook fanpage? Are you looking to purchase a fanpage for your business or website? Did you know that they can increase your traffic and solidify your brand across the internet? Fanpages are the only way for entities like organizations, businesses, celebrities, and political figures to represent themselves on Facebook. Facebook fanpages are visible to everybody on the internet, and since Facebook has the biggest user base on earth, they can provide incredible reach opportunity. Now before you decide to purchase one, please keep in mind that Facebook made some recent changes, which restricted the power of fanpages. However, a viral Facebook fanpage is still a valuable tool to own. Quality content still has the ability to go viral, and you can reach millions of people with a few clicks of a button. So, are you up for it? Do you believe you can deliver good quality content? Do you believe your business can benefit from a large Facebook audience? If you said YES, then we invite you to give us a try. While these fanpages are scarce and tough to get, we promise you that we will do everything in our power to get you one. What can a fanpage do for your business? Ability to reach millions of people. Posts can go supernova viral. Ease of communication with followers. Facebook is making it tougher to reach all the fans. Not recommended for inexperienced marketers. What is a facebook fanpage? Can you buy and sell fanpages? Essential Guide to Facebook Page Upgrades and Changes. 15 Frequently Asked Questions About Facebook Pages. Increase your fanpage reach with these two simple tricks. 8 New Facebook Page Changes You Need to Know. 4 Facebook E-Commerce Tips for Brands. Facebook Social Plugins for Your Website. Facebook Marketing: A Comprehensive Guide for Beginners.